Literary Nonfiction. Women's Studies. Translated by Abigail Fagan. Her thoughts actually revolved around Paris, stoking the fire of her imagination. Paris, the dream of a city that kept her going. Yet she decided on the incomplete city of Berlin, a city of change and aspiration: A mirror of her own development and symbolic for arrival in a new world. 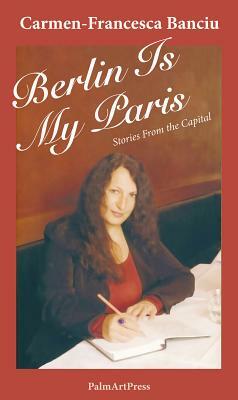 Romanian author Carmen-Francesca Banciu has lived in Berlin since 1991 and has since become a part of the city herself. In her autobiographical reports and literary miniatures, she immerses herself in the life of the metropolis, visits enchanting localities from world history, and tells of her encounters with interesting and unique people. She whisks readers away to her favorite cafes, goes on journeys of discovery through dreamy court yards, and shows how Paris can be forgotten in this New Berlin. Melancholic, jovial, and idiosyncratic stories of life between two cultures and of a city that is once again starting to exude cosmopolitan flair.